Top 5 Ways to Measure Body Fat — Fitness Lab Testing. Assessments. 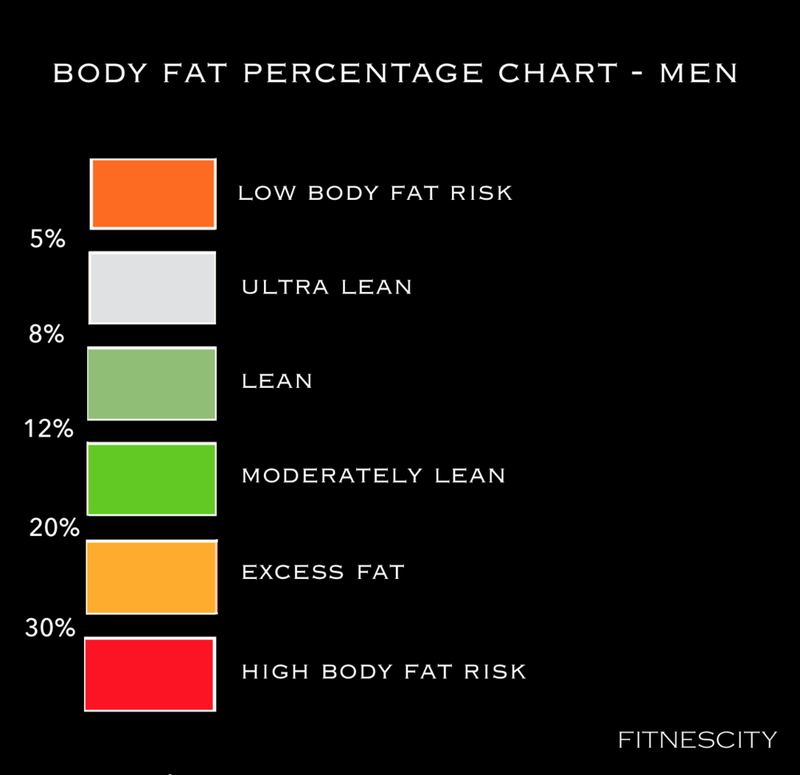 We previously discussed Ideal body fat percentage ranges, Why measure body fat rather than BMI, and How to get rid of belly fat, but how do you actually measure body fat percentage? You might be weighing yourself once a month, once a week or even every day. You might also be calculating your body mass index (BMI) every now and then. But what if the extra weight you see on the scale was mostly muscle? If you have a low body fat percentage, a heavy muscle mass and strong bones, you might be wrongly classified as overweight, because your BMI (and weight) would be high. A good way to know is to measure your body fat percentage, fat mass and fat-free mass. Similarly, you could have a perfectly “healthy” BMI, you might still have a high body fat percentage, and a high amount of visceral fat —the fat that is stored within the abdominal cavity. Knowing your what percentage of your weight is fat mass and fat-free mass will give you a more accurate view of your health. Thus, maintaining a healthy body composition is crucial to prevent disease. Moreover, if you know your fat mass and fat-free mass, you could easily plan your exercise and nutrition routine. So learning about body composition is also key for optimal performance and appearance. Advantages: The most precise and comprehensive method (it provides regional body fat data); very repeatable. DEXA / DXA Scan is widely considered as one of the most accurate and comprehensive body composition tests. The DEXA scan utilizes dual-energy X-ray absorptiometry (DXA). The test looks beyond your weight and the traditional body mass index (BMI). It determines your total body fat percentage, total fat mass and fat-free mass. Most importantly, DEXA body composition technology provides regional body fat results (trunk, arms, legs, pelvis and android/gynoid regions). A DEXA scan can also measure visceral fat / abdominal fat, which is often associated with increased risk for cardiovascular disease and type 2 diabetes. DEXA results often include bone density as well (bone mineral density - BMD). Test protocol: Arrive metal/ hard plastic free or ready to change. This includes: No zippers, buttons, reflective materials, jewelry or watches, and no bras with clasps or underwire. No metal or hard plastic hair clips or pins. If you have metal in your body (such as a replaced joint or a pin in a bone), you should inform the technician. Comment: You should also note that the scan will subject you to a small dose of radiation, equivalent to that of flying by airplane from New York to California. Learn more: Understanding body composition: The DEXA scan. Advantages: The world’s gold standard for fast, accurate and safe body fat assessment. Based on Air Displacement Plethysmography, the BOD POD uses whole body densitometric principles to determine body composition (Fat and Fat-Free Mass), guaranteeing high accuracy and excellent test-to-test repeatability. The BOD POD’s air displacement plethysmography eliminates the invasiveness of Dual Energy X-Ray Absorptiometry (DEXA) and is therefore suitable for frequent, longitudinal tracking of body composition and metabolic changes over time. Recommended attire: Tight-fitting clothing or bathing suit. Swim cap (you will stay dry). Test protocol: Two-hour fast prior to the test. No coffee of alcohol four hours before. Learn more: Understanding body composition: The BOD POD test. Disadvantages: Hard to find; you will get wet sitting submerged completely underwater. Hydrostatic weighing, or underwater weighing, compares your normal body weight (outside the water) to your body weight while completely submerged in the water. Using these two numbers and the density of the water, operators can accurately determine body volume and density, along with the breakdown of fat mass vs. fat-free mass. Hydrostatic Weighing takes about 30 minutes. Protocol: You must remain motionless underwater while the underwater weight is recorded. The procedure is repeated several times to get a dependable underwater weight measure. Advantages: Reasonably accurate; affordable; easy to find. Disadvantages: Margin for error can vary depending on the experience and knowledge of the technician; you can feel uncomfortable and cold. This is one of the most accessible methods for measuring body composition. The skinfold assessment measures the thicknesses of skin and the subcutaneous fat at four to six locations in the body. This includes the triceps, shoulder blade, love handle area, abdomen and calves. The Skinfold should not include muscle and fascia in order to ensure accuracy. Once the test is completed, the measurements are put into a formula for the practitioner to estimate body composition. The Skinfold Assessment takes about 15 minutes. Recommended attire: Short sleeve shirts and shorts. Protocol: It is important to keep holding firmly the fold of skin with the fingers so that the calipers are measuring just the thickness of the skin fold. You should also remain still. Advantages: Somewhat affordable; quick and easy to do. Disadvantages: According to an ABC investigation, body fat readings with a scale can be highly inaccurate, mostly because they are sensitive to factors such as hydration, skin temperature, meal time and exercise. Bio-impedence involves standing on a scale, and in some cases pushing the buttons of two electrodes that are placed in your hands. A low level (and imperceptible) electrical current is then sent through the body. Tissues that contain fluid and electrolytes, such as blood, have high conductivity, while fat and bone slow the signal down. As Bio-impedence determines the resistance to the current as it passes through the body, it provides estimates of body water and body fat. A Bio-impedence test takes about two minutes. Recommended attire: Light clothing and bare feet. Protocol: You should stand still and quiet while standing and/or holding the apparatus. Looking to learn more about ideal body fat ranges?